It's those little things in life that make us happy. 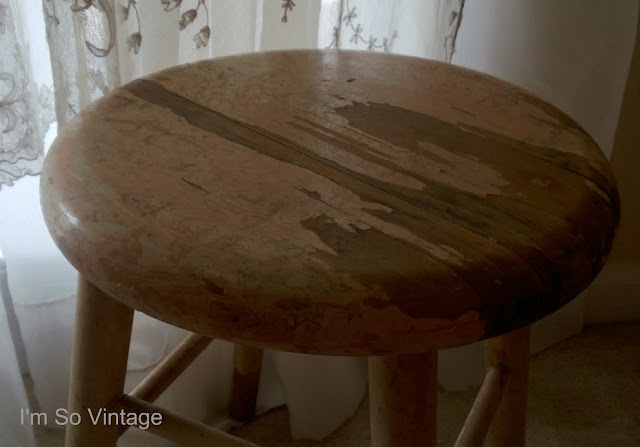 a stool that is so cracked and worn that no one else wanted it, so you paid three dollars so you could have the honor of bringing it home. 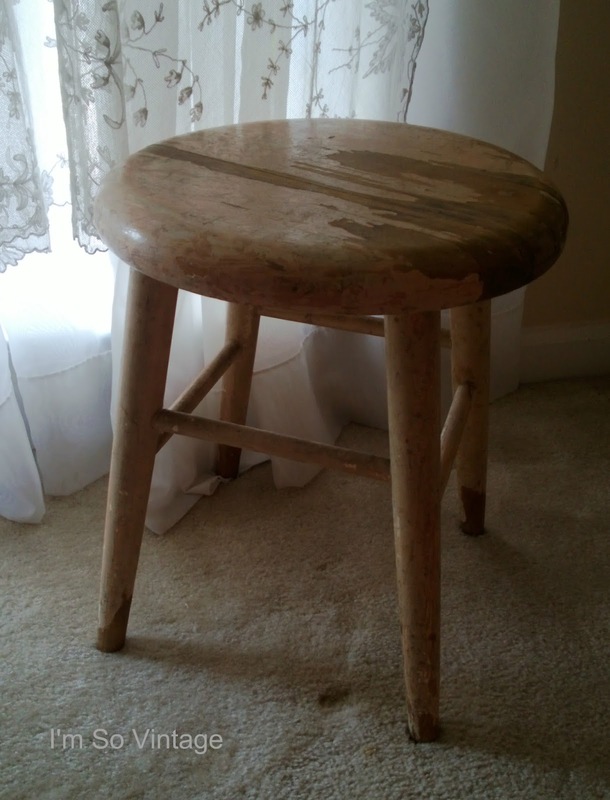 a stool that you just know some young farm girl sat on long ago while she milked the cows. and you know that it must have belonged to a girl, because after all it is the softest shade of pink. so you brought it home and set it down in front of the curtains draped with antique lace. 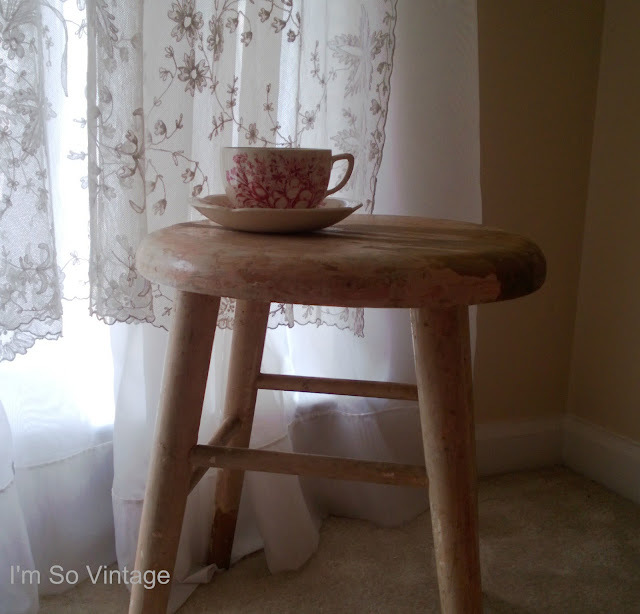 and you said, welcome home little pink stool. It would go soooo perfect with a pink dresser I'm working on now! It's darling. It reminds me of the one our farmer neighbor sat on to milk the cows. How cute! It would be pretty with a bit of lace over the side, too. Love the beautiful quilt! Hugs! and home it is, as if it never left! Darling stool. Have a wonderful weekend, Laura! It was meant to be yours! What a bargain! And you've accessorized it so well. Have a peaceful weekend. Thank you for visiting me, your support and prayer. Sometimes things just are meant to be ours! This is meant for you for sure! That is a sweet, little stool. Lovely little pink stool and a beautiful quilt. precious! you lucky girl you!! just darling. 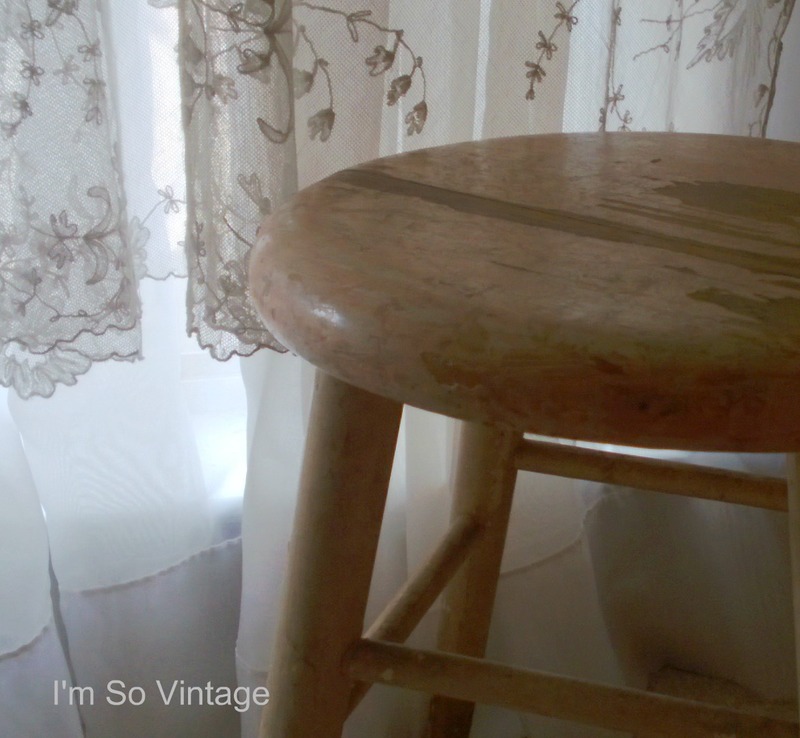 Love the stool, what a great find! Pretty quilt, too. It looks perfect by the window. A little touch of imagination, a nonchalantly positioned throw... perfection! Happy Pink Saturday from the UK! What great stories you could hear if that little stool could talk. Glad you gave it a good home. What an adorable find. 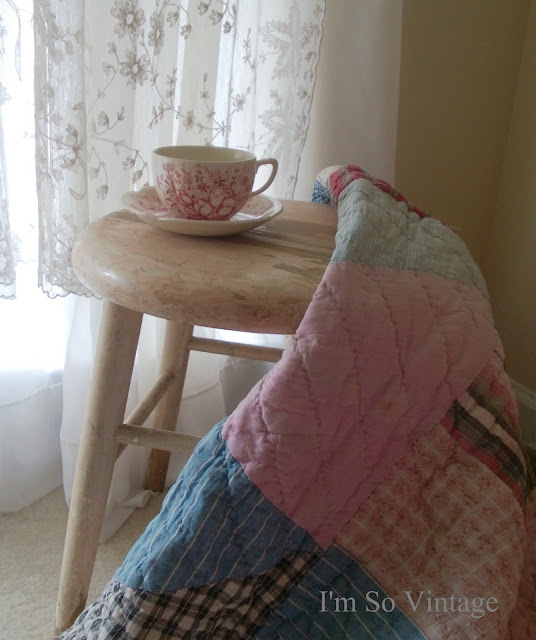 I love it with that pretty tea cup and quilt. Real charmer. What a nice welcome for your amazing find!